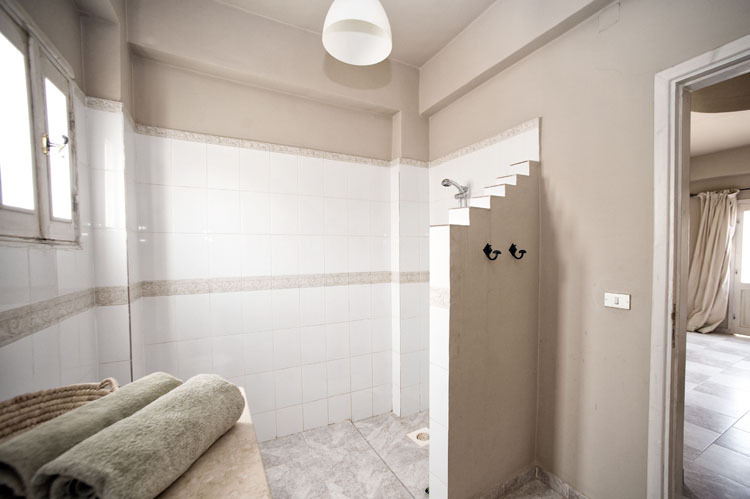 Welcome to Villa Prana, your peaceful holiday home away from home in the heart of the bedouin village of Assalah in Dahab. It is the ideal space for yogis, freedivers and peace and nature-loving travellers to rest, relax and rejuvenate. 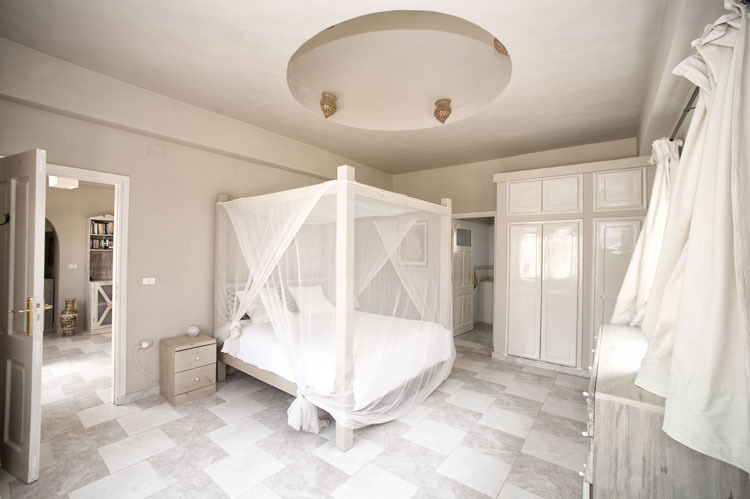 It sleeps up to four, with two double bedrooms, one of which is ensuite, with a huge, utterly romantic four-poster bed. 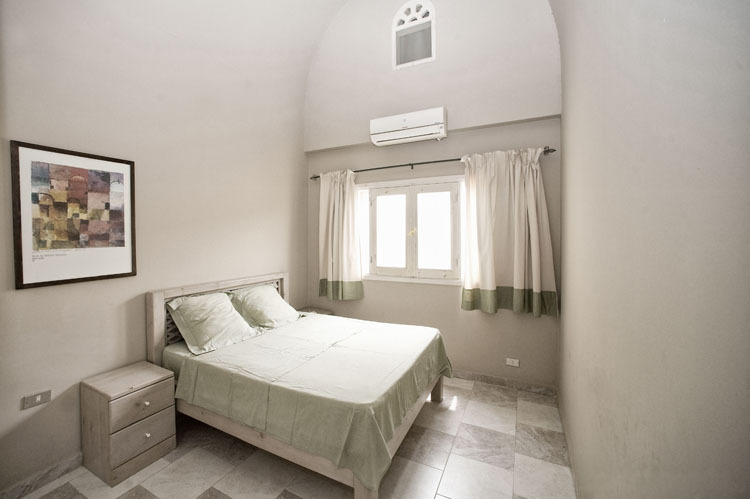 The second bedroom has an incredible arched ceiling, with feature window, and adjoining bathroom. The open plan living space includes a fully equipped kitchen, drinking water cooler, and opens out onto the shaded courtyard garden, perfect for lazy afternoons with a cup of tea and a great book. The roof terrace is great for sunbathing or sun-downer drinks, overlooking the mountains and the ocean in the distance. Self-catering gives my yogi and freediving guests the option to eat what you want, when you want. I welcome all of my guests with a basket of fresh seasonal fruit, bread, tea, coffee and all the essentials for your stay. My pets can also be provided for cuddles and love – Twinkle-Toes, Poppy and Max are particularly good at guest relations. Welcome to the real Dahab – Bedouin kids playing bare-foot on the streets, goats wandering in the streets, and camels tethered in back gardens. You don't have to go far to experience authentic local food; just around the corner Hamdi makes his infamous breakfast Tameyah (falafel and salad sandwiches) and in the evenings the Basbousa man, with his huge tray on wheels full of Egyptian sticky sweet treats, passes our front door. The market, where you can buy everything you could possibly need during your stay, including a German bakery, pharmacy, health food shop and incredible fruit and vegetable stores, is a five minute walk away at the bottom or our street. There is also a small local supermarket right next door for basic groceries, open until late. 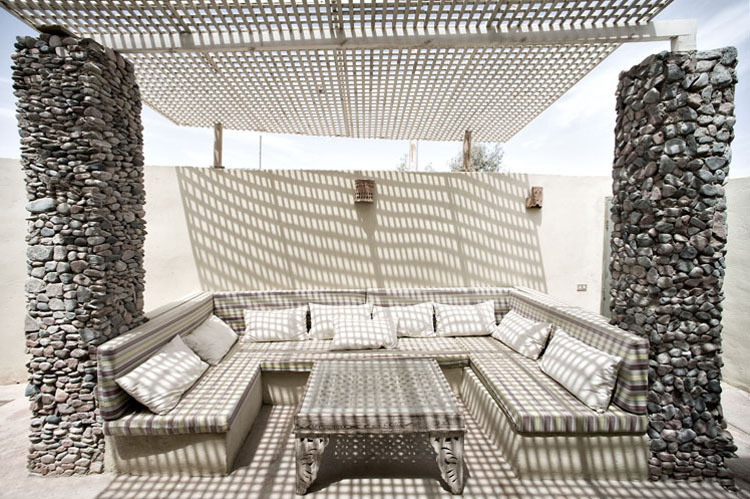 Villa Prana is a little oasis of calm within the laid-back craziness of Bedouin life. We look forward to welcoming you. 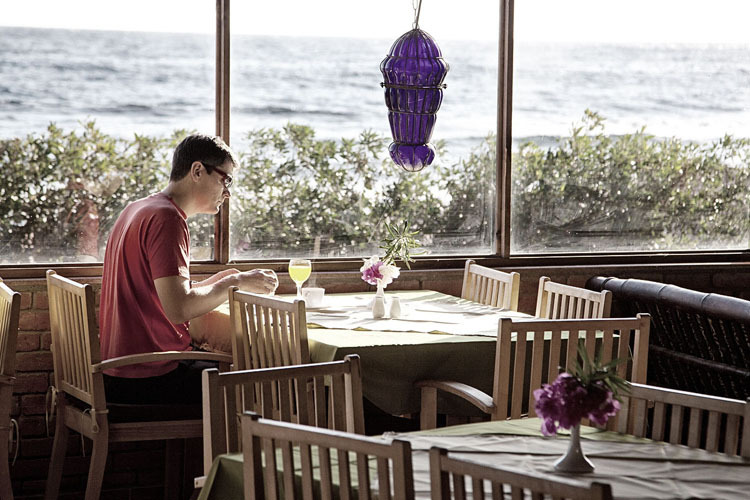 ✻ Coming to train, practice yoga, or take a career break in Dahab for whatever reason? We offer discounted rates for stays of between one to three months. Please contact us for details. I completely understand that when on holiday, sometimes you want someone to do the shopping, the cooking and the cleaning for you! 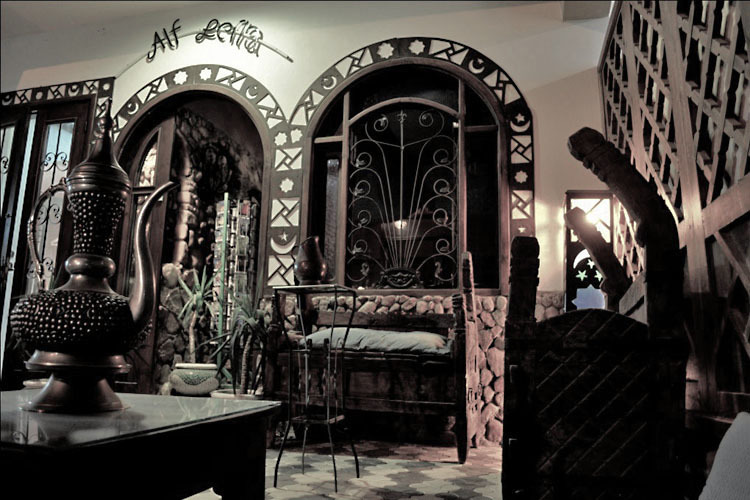 I offer my guests two hotel options, either on or very close to the beach, Eel Garden, and the best of Dahab's cafes, restaurants and snorkelling spots!